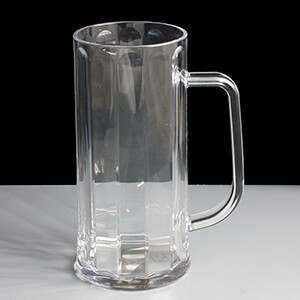 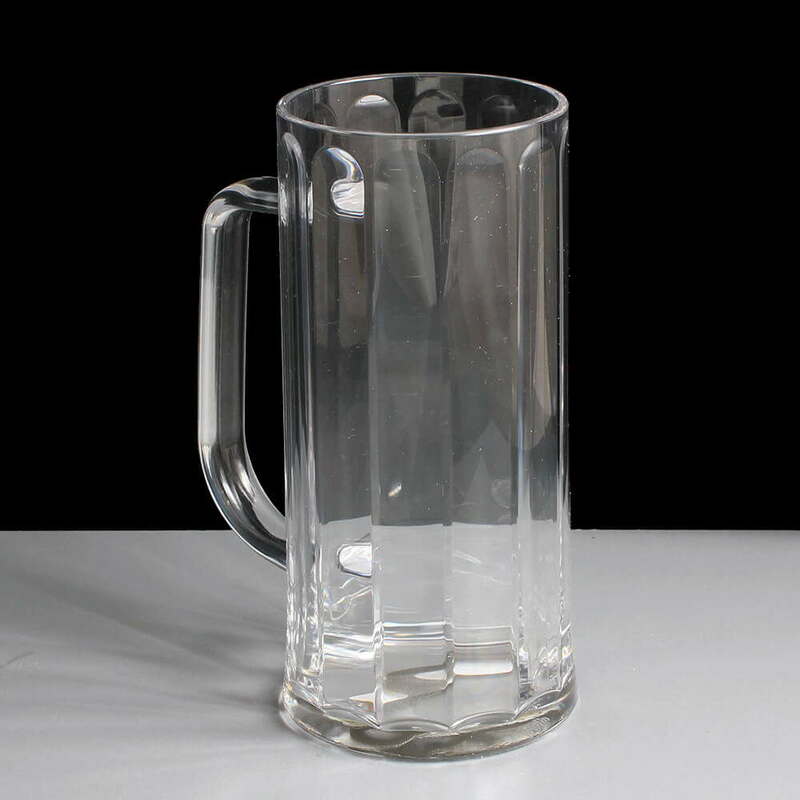 Virtually unbreakable, polycarbonate plastic Bavarian tankard pint glasses with a 12 sided design and sturdy handle making it look and feel like a traditional German beer stein tankard. 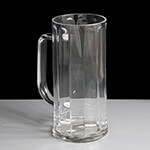 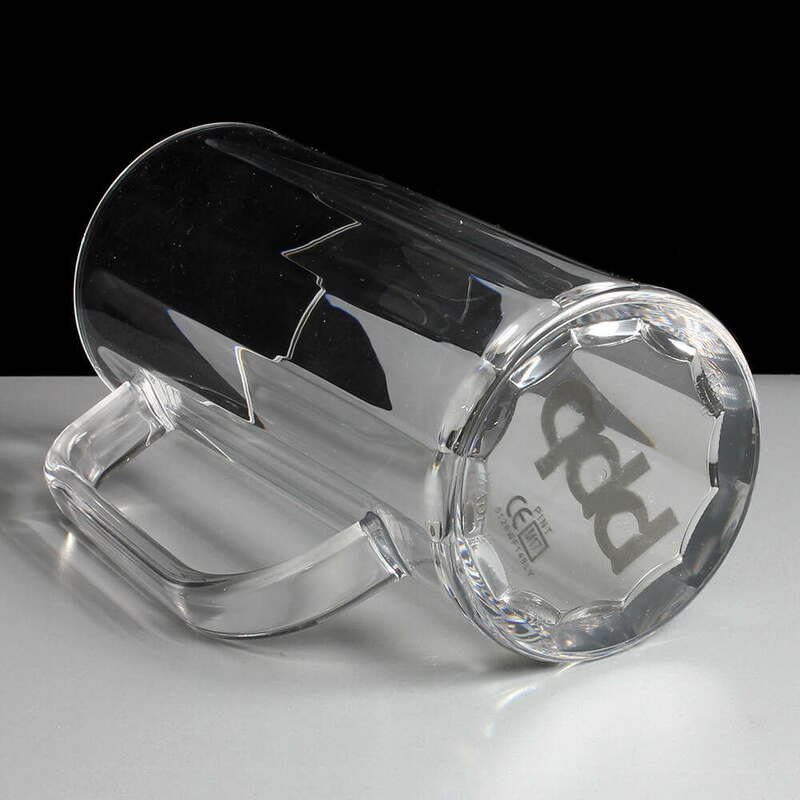 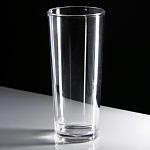 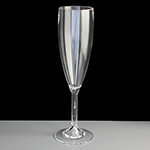 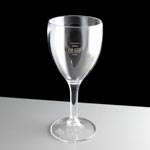 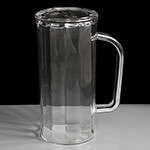 The tankard / stein is a heavyweight design (232g each), designed and manufactured in the UK to high quality by BBP. The steins have an added touch of being nucleated meaning that the gas in the beverage is released more readily sustaining the head and thus the look and feel of a just poured pint, the bubbles flowing to the top also make for pleasing aesthetics for the drinking experience. 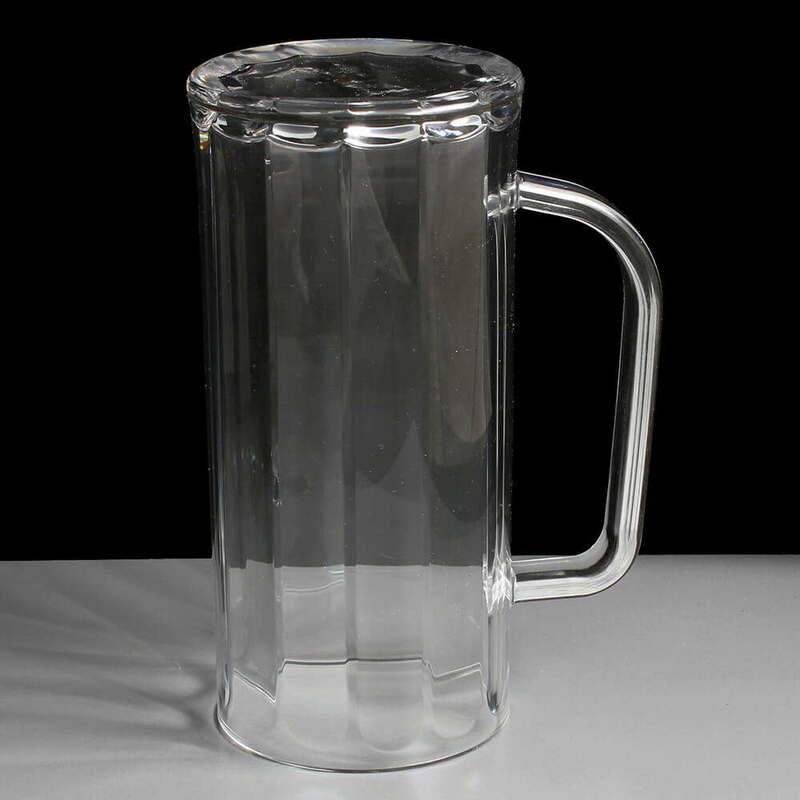 The tankards / steins are made from polycarbonate meaning they are virtually unbreakable, so dropping them means they will just bounce. 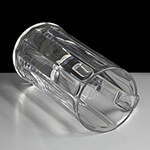 The polycarbonate also means they can be used in a glass washer up to 500 times before weakening and becoming cloudy. 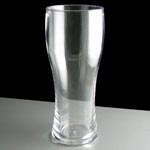 The inside base of the glasses have the BBP logo for nucleation and on the outside the base has bbp logo embossed and printed PINT CE M17, 0128WF114BLY.